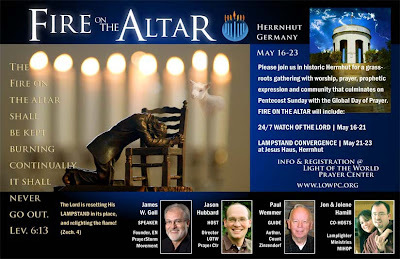 I want to encourage you to attend this strategic gathering in Hernnhutt, Germany if you're able to. My wife and I spent a day in Hernnhutt a few years back, which was a real treasure. Hernnhutt is the location of Count Zinzendorf's estate where he permitted the Moravians to relocate in order to flee religious persecution. Through a series of supernatural events, they eventually launched a 24/7 continual prayer that lasted 100 years. Go to this website for more information. My dear friends, Jon and Jolene of Lamplighters Ministries are co-hosts of this prayer gathering. 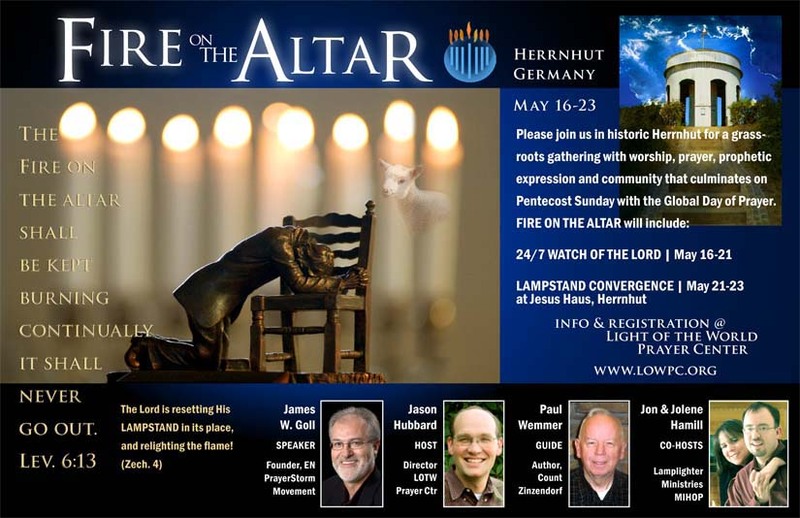 James Goll will be one of the primary speakers at this gathering. I would strongly encourage you to read his book, "The Lost Art of Intercession". The first chapter opens with an experience he has in Hernnhutt with a group of intercessors. The book is worth its weight in gold for those whose hearts yearn to live a lifestyle of intercession. Plus this book will help you to understand the significance of the Moravians and their influence even in today's prayer movement. GO there, and if not READ the book. I have given away many, many copies of Jame's book. It is a primer for prayer and changing society!